Achieve Peace of Mind with 24/7 Access to Your Site's Security Information from your Smart Phone! All the data is available in real-time, 24/7, on all the levels. You just open the app, and see exactly what's going on. 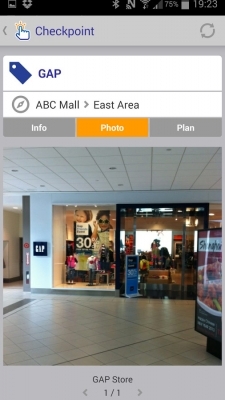 You'll see specific areas and checkpoints with associated pictures and notes. Reports provide accurate records of security guard movements making sure that quality standards are met and maintained. 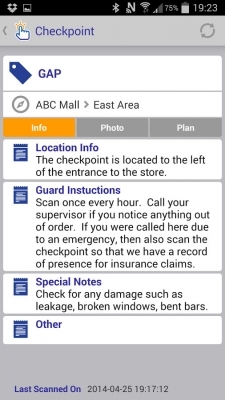 This app ensures that you know what your guards are doing. Our guard activities are fully transparent. Visible policing sends a strong message about quality of security, reducing the risk of incidents and increasing the level of protection to people and property. Not only do you know exactly what's going on, our guards have quick access to this information as well. This results in decision making based on real information about what's been happening on your site regardless of who was on duty. 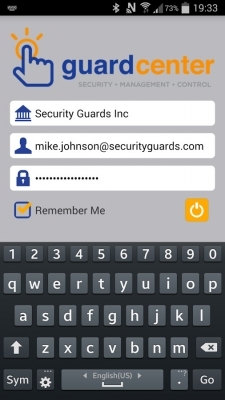 The app actually makes our guards the most efficient in the industry. Our guards spend more time providing security and less time completing paperwork. You get everything you need when you need it. Site map with relevant site information. Complete list of site areas and checkpoints. Notes for every item logged including photos. Any event can be captured, documented, pictured, classified and stored. A complete security history for your site at your fingertips. Easy-to-view security trends analysis, which can alert you to areas needing attention. Security transparency with information available 24/7. Maximum security ensures your data is protected at all times.